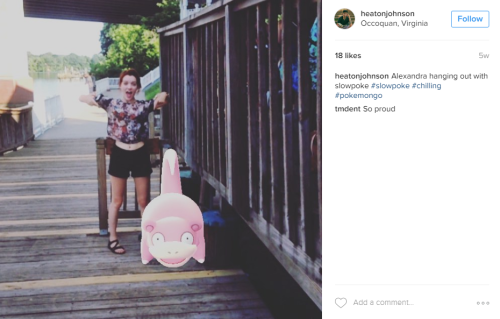 Occoquan has quickly become a popular spot for catching a wide variety of land and water based Pokémon using the trending Pokémon Go app. Around 5:00 PM, when young professionals typically get off of work, Occoquan begins to bustle with people looking for the rarest critters in this historic town. As you hunt for Pokémon, there are eight things you should keep in mind. 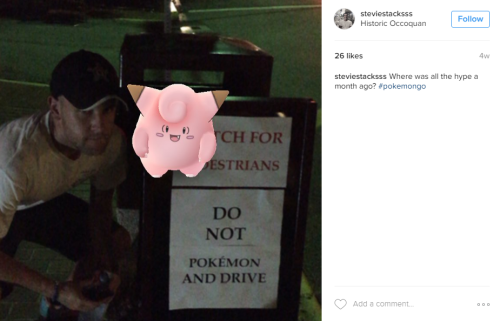 Pokémon Go has allowed Northern Virginia residents to discover the small, historic town of Occoquan. The town welcomes the visitors, as well as the business they bring to local shops and restaurants. While you are searching for those cute little critters, however, please be aware of your surroundings. Safety is a big concern when it comes to playing Pokémon Go in this quaint walkable town; be sure you are looking up when crossing streets and remaining aware of your surroundings. Being aware of your surroundings includes being aware that the town of Occoquan is home to a number of residents. Feel free to play Pokémon with your friends into the evening, but be mindful of your noise levels as families head to bed for the night. You will see signs up around the town that remind you not to “Pokémon and drive,” and the app has actually been updated with some additional features to prevent playing while driving. Distracted driving of any kind is unsafe for you and those around you, so make sure to play only when you are walking – it is better for hatching eggs anyway! While you are in town, you should make sure to stop by the visitor center at 200 Mill Street. There you can find information about other great spots to visit in Prince William & Manassas as well as other parts of Virginia. While millennials are stopping in to catch the rarer Pokémon that are spawning in Occoquan, their parents and grandparents are exploring the shops for birthday and Christmas gifts, household items, and unique antiques. At night, some shops are staying open to provide extra incentives for visitors to stick around. Many visitors are also experiencing some great local dining spots during their search. The staff at Bar J are even sporting Pokémon themed shirts to encourage extra business. Occoquan is full of free parking to accommodate visitors playing Pokémon, eating at locally owned restaurants, and shopping at locally owned shops. 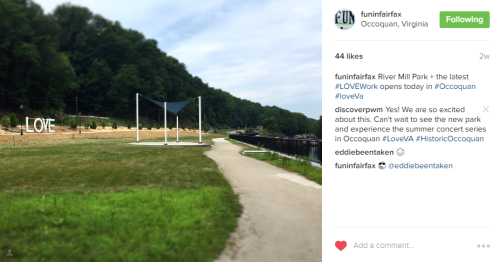 Come to Occoquan to eat, play, shop, and walk! Pokémon are new to Occoquan, but the River Mill Park and the view of the river are even newer! Make sure to stop by the River Mill Park to search for additional Pokémon and check out the breathtaking view of the Occoquan River. There are even a few Poke Stops right near the entrance of the park. If you visit on a Saturday night during the summer, you can not only catch some awesome Pokémon, but you can also stop and appreciate some live music at the River Mill Park. Take a break from your search and grab some food from a local restaurant, sit back and relax to enjoy this charming riverfront town. With bathrooms right at the park entrance, you will not need to miss any of the concert! We wish you happy hunting, and hope you are able to enjoy all that Occoquan has to offer during your searches.